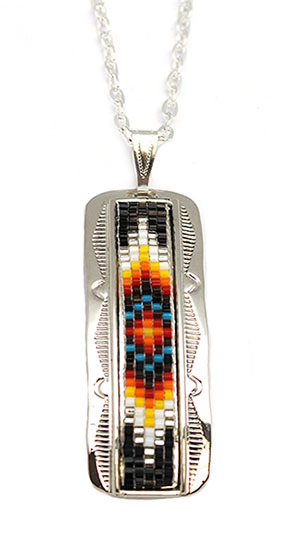 Nickel silver stamped 5 row beaded pendant. It measures 2 3/8" long including nickel bail by 3/4" wide. Bead work pattern and color will vary. May or may not come with a silver plated chain. If chain available, style and length will vary.